Capital of Northern Portugal, Porto is a beautiful showcase of the rich cultural and historical heritage of the country. During a stay, enjoy the comfort of a luxurious villa on the Atlantic coast of Portugal and discover the thousand and one treasures of the region! Part of the history of Portugal was built in the region of Porto. It is here that the river Douro which takes its source in Spain finishes its race before joining the Atlantic Ocean. This privileged situation has boosted its commercial activity, in particular the trading of the famous wine of Porto. A stay in Porto is just the occasion to go behind the scenes of the making of this Portuguese wine whose reputation has long since crossed the borders of the country. There are many wine cellars in the Vila Nova de Gaia district on Diogo Leite Avenue. In Old Porto, it is a whole other universe that is offered to you. 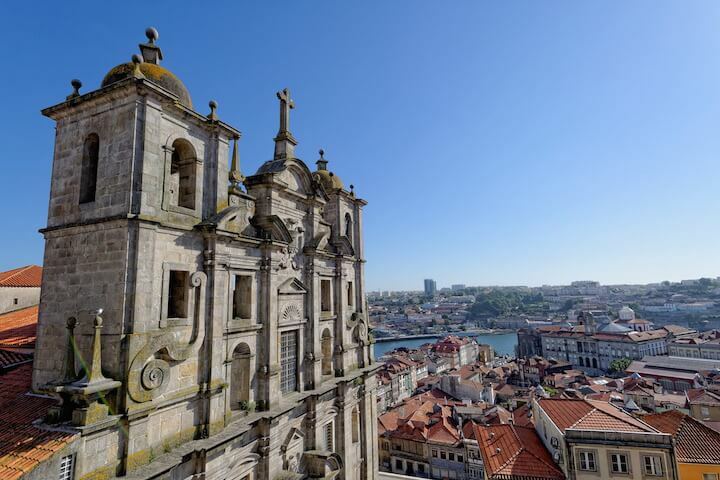 A must-see for visitors to explore the history of Porto, it lends itself pleasantly to the pleasures of strolling through its picturesque streets lined with buildings and imposing monuments. The Torre dos Clérigos, the cathedral and the Sao Francisco church are a few examples. On the quay of Ribeira, a permanent animation gives a special atmosphere to the historical centre of Porto. In this charming town that combines history, culture and entertainment, we offer a villa rental in Porto combining luxury and refinement. 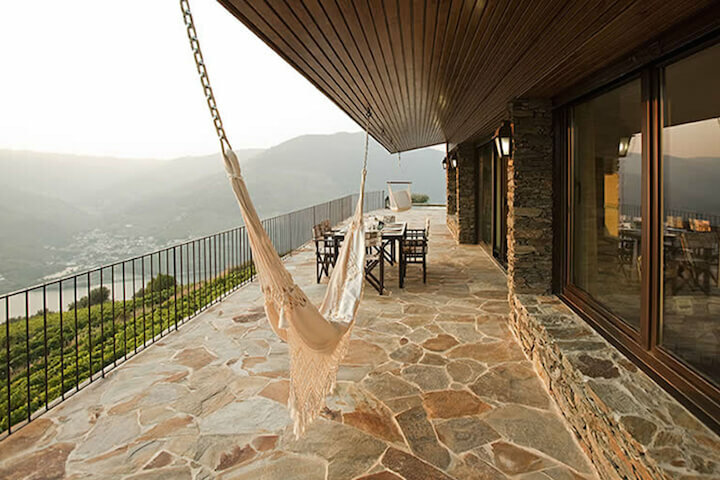 Overlooking the valley of the Douro and featuring a beautiful infinity pool, Villa Folgosa seduces first of all by its exceptional setting. Its decoration around the theme of wine will particularly appeal to lovers of great wines. With its 3 bedrooms and 2 bathrooms, it can accommodate six people in the greatest comfort. 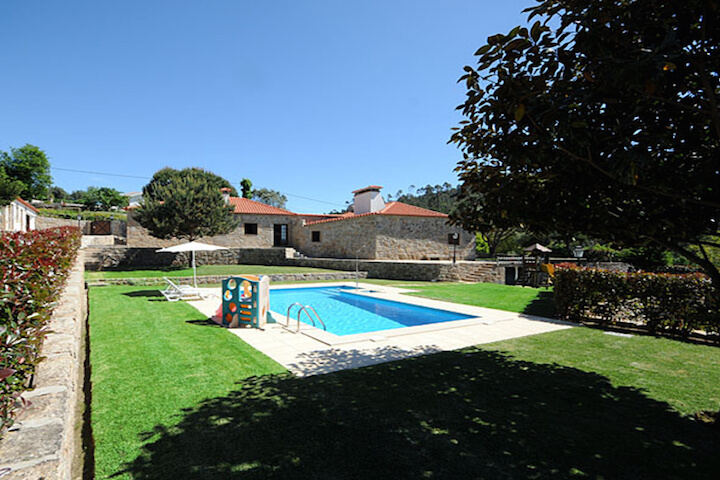 Another great starting point for exploring Porto and Northern Portugal, the sumptuous Villa Barcelos, located in Barcelos. Its architecture of stone unmistakably reminds you of the charm of the Portuguese countryside. Aimed to welcome up to 8 people, it has 4 bedrooms and 3 bathrooms. 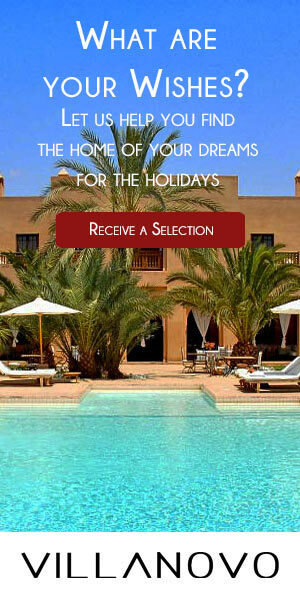 Sunny terraces, a private swimming pool and a large garden complete the décor.